Legislators spent the first month of this year’s session introducing a flurry of education bills. Many won’t make it to even the first step toward becoming law — a public committee hearing and vote. How we fund public schools is critical to all Arizonans, yet lawmakers often pass the state budget without public input. Join other education advocates at a community budget forum to make your voice heard! Register at bit.ly/AZSchBudget. All Arizona school children could get money to go to private school if Senate Bill 1431 passes. 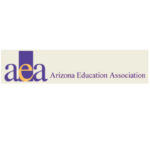 In Arizona, Empowerment Scholarships (ESAs), which some people call vouchers, currently allow students who fall into certain categories to receive money from the state to attend private schools. Those who qualify include children with disabilities, attendees of D or F schools, kids who were adopted or those who come from military families. 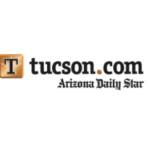 The bill, sponsored by Sen. Debbie Lesko, R-Peoria, would expand the program to every school child in Arizona, or more than 1 million students. Update: The House floor vote on SB1279 was retained on the calendar (postponed) on March 30. The voucher expansion bill was on the agenda for a House floor vote on Wednesday, March 30. SB1279 was a bill that expanded the state’s private school voucher program that we thought was dead. 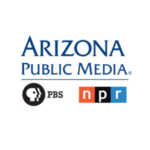 It was resurrected last week in House Appropriations with a Stike-Everything Amendment expanding voucher eligibility to those who qualify for free and reduced price lunch – half of Arizona’s public school student population. Voucher expansion bill rises from the dead! We keep fighting legislation that drains the lifeblood from public education funding and they keep coming back. SB1279 was a bill that expanded the state’s private school voucher program to all students that we thought was dead. It’s shown up on the agenda for Wednesday’s House Appropriations Committee with a Stike Everything Amendment expanding vouchers to students eligible for the low-income scholarships from Student Tuition Organizations for private schools. 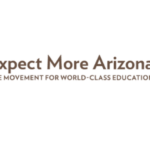 FOX 10’s John Hook talks to Andrew Morrill, President of the Arizona Education Association, Chuck Essigs, Arizona Association of School Business Officials’ Director of Governmental Relations, and Pearl Chang Esau, President and CEO of Expect More Arizona.